Agricultural producers in California’s Central Valley face big challenges in the face of multi-year drought conditions. One response is to devise water conservation strategies that balance yield and quality against resource use. We show a low cost approach to blending sensor data, energy cost information, and production data in a single database environment for ongoing optimization of water use. 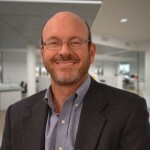 Keith Peterson, Ph.D. is President and CEO of Halo, a supply chain analytics software company based in San Diego, CA. Halo helps companies gain deep visibility into the cost drivers in their supply chains and devise strategies to improve profitability. Keith has senior executive experience at the Nielsen Company and started and exited his own analytics firm. He has a Ph.D. from Vanderbilt University. Keith is an experienced senior executive with 14 years’ experience driving the growth of innovative data and analytics businesses including Experian, Neilsen, and Mitchell ClaimsLab. He has published multiple academic works in analytics and Big Data, focusing since 2014 on supply chain analytics. Keith holds a bachelor’s degree from Washington State University and a Ph.D. from Vanderbilt University.